Administrators' table in Logs shows a full list of all administrators using Splynx, their admin login, full name, role, phone number and other information. It is possible to choose administrators to display by their partners. You can print, copy or save the list of admins in PDF and CSV file formats by clicking on icon below the table. It is also possible to select columns to be displayed in the table by clicking on icon below the table. click on edit icon in Actions section of the table. The edit window will pop up, where you can make changes if needed. click on icon in Actions column. The window will show up, where you will be able to check and change all administrator's permissions. 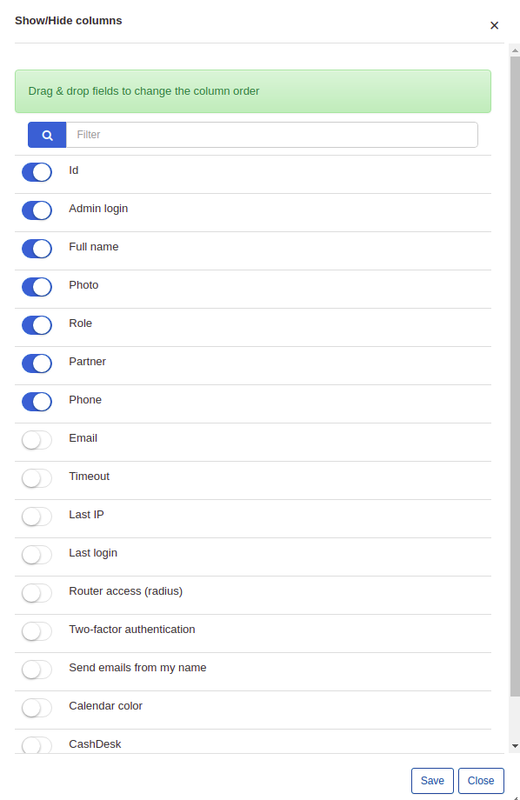 By clicking on each field you will be able to change particular permissions for different subcategories of that field. click on icon in Actions' column. There is a way to limit the access to information for admins in Splynx by selecting only one partner, so administrator will be able to operate with all information associated with one particular partner. Click on Edit icon in Action column and window will pop-up, where it will be possible to choose one partner or option Any. You can also change permissions for adding, editing or deleting partner (s) for the particular administrator by clicking on icon in Actions column. 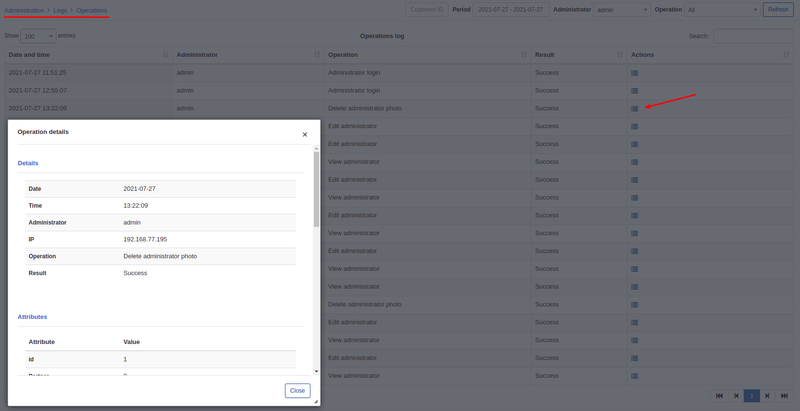 In a window poped-up click on Administration section, enable or disable Partner and choose additional permissions of the Partner you'd like to assign to the administrator.